Are You Still Running SQL Server 2005? Just in case you didn’t see any news on this, SQL Server 2005 was orphaned from Microsoft on April 12, 2016 – https://www.microsoft.com/en-us/server-cloud/products/sql-server-2005/Do you still have critical databases running on this version? Dare I ask, are they running on the ancient Windows Server 2003 R2 server which was cut off from Microsoft support way back in 2015??? It’s time to upgrade!! Here is the overview of the process to get that done. Is my vendor still supporting it? What versions of SQL Server are on the application compatibility list? What does it take to upgrade that application to be compatible with the latest version of SQL? Does that effort/cost outweigh the risk of not being able to call Microsoft with any SQL Server issue? 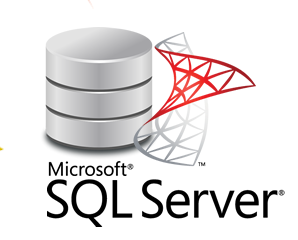 What costs do I have (server, licensing, professional services) to upgrade to SQL Server 2014? Review the entire report carefully!! Know that licensing will by far be the most expensive line item on this project! Cutover and party like it’s 2016!!! By upgrading your organization, you not only get your databases into a fully supported state, you are taking advantage of over 10 years of innovation and improvements in Microsoft’s database engine technology. SQL Server has been battle-tested in the cloud for several years now and Microsoft is using knowledge gained in that endeavor to make incredible improvements in the on-premises edition of SQL Server. SQL Server 2016 hit Release Candidate 0 here recently and promises another deluge of improvements, particularly in the Business Intelligence space. Need help getting the ball rolling on a SQL Server 2005 assessment and upgrade? Contact me at 1(972) 987-0637 or Paul@PBITPro.com. For more information on Microsoft infrastructure topics, please visit the rest of my blog or follow me at @pdgb.